Note: A minimum quantity of 24 must be ordered, and in units of 4 thereafter. 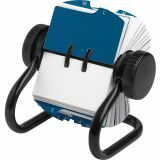 Rolodex Open Rotary Card File Holds 500 2-1/4 x 4 Cards, Black - Open-style, rotary card file keeps contacts at your fingertips and holds cards securely in place. Cards are easily removed for posting, typing and rearranging. Sturdy frame features a strong tubular metal construction. 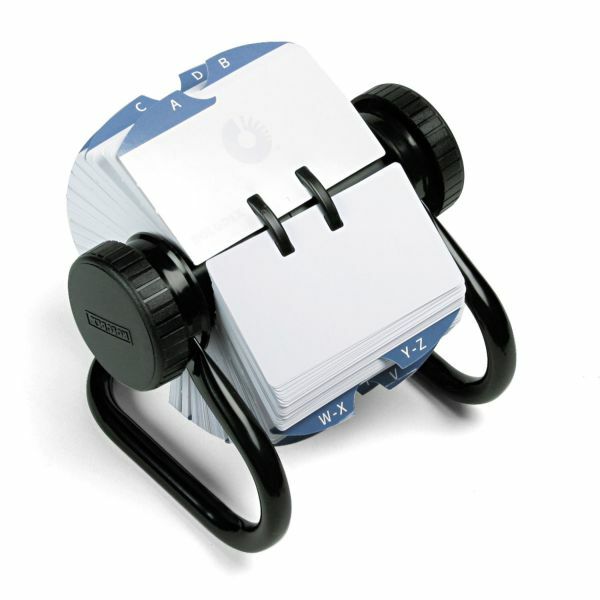 Card file includes cards made of index cardstock and insertable A-Z index tabs.